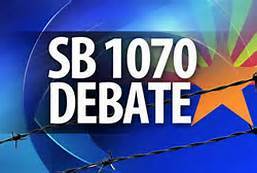 Arizona’s legislature has allocated $100,000 to fight subpoenas involving the passage of SB 1070. 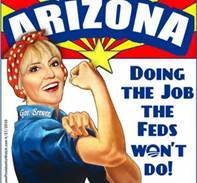 Passed in 2010, the law is Arizona’s belligerent attempt to get more involved in the area of federal immigration law enforcement. Brushing aside suggestions that the lawsuits would go away if the parts SB 1070 not already negated by the courts were repealed, the Republicans (not fiscally conservative in this case) decided funds needed to be allocated to protect their fuzzy concept of what characterizes Arizona’s sanctified legislative process. The petulant Republican legislators don’t like, and perhaps fear, the insinuation in the subpoena that SB 1070 was motivated partly by racial bias. Given SB 1070’s unsympathetic scope, it is quite understandable how a large number of people could arrive at that conclusion. Another bill, SB 1221, is rolling through the legislature. The bill will authorize the attorney general to represent current or former officers or employees of the state subject to a civil nonparty subpoena. It calls for providing assistance to current and former legislators entangled in the present SB 1070 subpoena matter. An unwelcome remedy to clear up the mess is found in SB 1299 which repeals SB 1070. The bill is sponsored by State Senator Steve Gallardo. 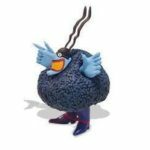 It faces intense resistance, a very long time is expected to pass before it is brought to a vote. As the drama in Phoenix plays out, the legislature could end up looking very bigoted and/or expensively inept. Four years after enactment, the results of SB 1070 have been relatively counterproductive. It stifled tourism for time and turned Arizona into an object of worldwide ridicule. The declared goal of expanding immigration policing by local law enforcement agencies has been severely crimped as major parts of the law have been set aside by the courts. SB 1070 infuriated Arizona’s largest foreign trading partner, another undesired result of the imprudent unilateral action taken by the state. As it turns out, the SB 1070 effort has mostly misfired. Despite heated assertions by Arizona officials, border and immigration control is a defined federal responsibility. In other nations, the central government is in charge of the function. The Department of Homeland Security now has a nearly $60 billion per year budget. About $12.9 billion is spent on customs and border enforcement activities. Another $5.3 billion goes into immigration and customs enforcement. 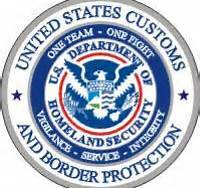 Around 62,000 personnel work in the customs, border and immigration control effort. Back in the 2010 time period, Arizona’s legislature and governor could have followed the previous example set by Texas and leaned on the federal government to upgrade border security. The governor might have tried to get Arizona’s congressional delegation involved in a push to get more federal resources shifted to Arizona’s border region. Instead, Arizona officials went ahead and launched an intimidating, costly and flawed state initiative. The money frittered away on the SB 1070 endeavor could have been used to improve coordination between federal and local policing agencies. Legislative bungling can have aftereffects. The December 2013 unemployment rate in Arizona was 7.6%, in Texas it was 6.0%. While many of Arizona’s state leaders continue to stoke fear while focusing solely on border security, the mayors of Arizona are keeping things in perspective, trying to improve economic relations with Mexico. If you have the skill set needed to work in an international border state setting, you may want to consider moving to Texas. It looks like it is going to take quite some time for Arizona to get its act together and stop mucking things up.